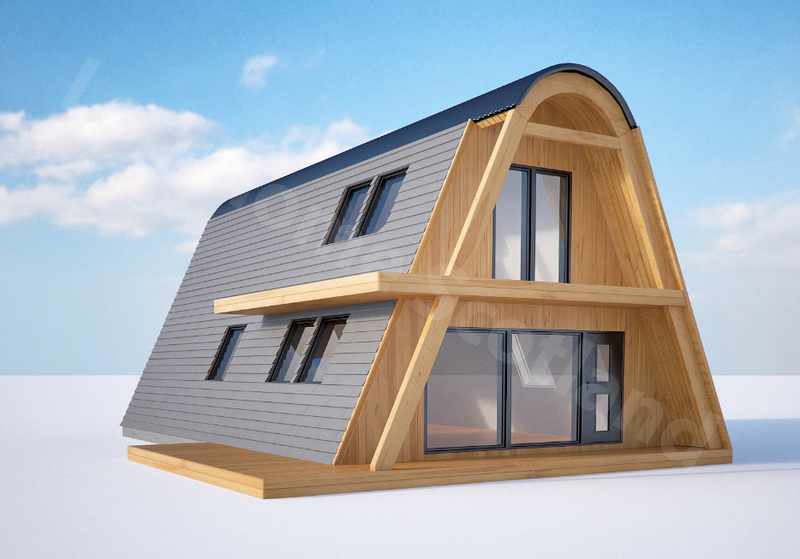 The Alpha House is an A Frame Post and Beam Eco Home. The latest from Log Home Scotland’s ‘back to basics’ in-house design. The simplicity of its minimalist A frame contemporary design means the Alpha House is extremely strong and is competitively priced. Another inexpensive factor is our speedy on-site construction, combining modern technology with the best of materials – within days. 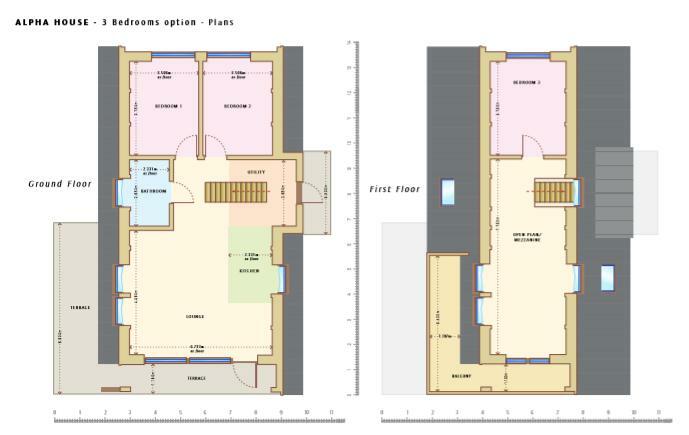 Overall internal floor space of 1.5 storey Alpha House is 130sqm. Ground floor comprising of open plan kitchen / living room. 2 double bedrooms, utility room, bathroom. Upper level is a huge 50sqm second living room / gallery, which can easily accommodate a study overlooking balcony and 3RD bedroom + Ensuite. Much of the Alpha House is bespoke / custom made with lots of options, budget permitting. Your choice of layout, external finishing, insulation (Aiming for zero Carbon footprint) and much more. Currently, detailed planning permission for the Alpha House been approved. If you own a plot with a view to build within a year, please get in touch. To learn more click here for Alpha House info pack.